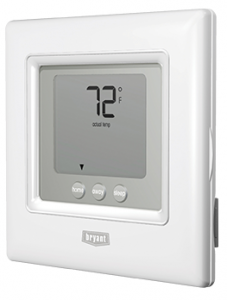 Legacy non-programmable thermostat puts a new face on the basics. For year-round comfort with your home’s heat pump system, the Legacy Non-Programmable Thermostat adds a simple but attractive look to your home. At just over an inch in depth, this unobtrusive control is so simple to use, your family’s comfort is only a button click away.